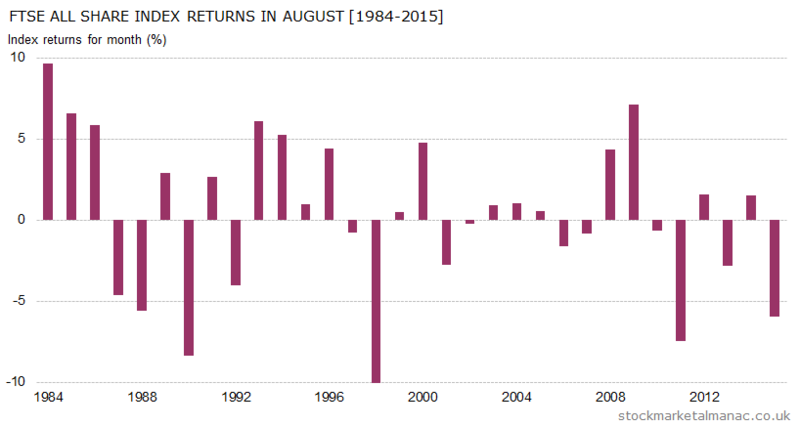 August used to be a good month for the stock market, but this has changed in recent years. Indeed, as can be seen in the accompanying chart, the market has fallen by over 6% in this month in two of the last five years. As it’s a month for holidays, trading volumes tend to be low for stocks which in some years can lead to some increased volatility. Historically in a typical August the market tends to drift lower for the first couple of weeks and then increase for the final two weeks of the month. The final trading day of the month has historically been strong. The sectors which tend to be strong in August are Food & Drug Retailers, Gas, Water & Multiutilities, Health Care Equipment & Services and Household Goods; while the only predominantly weak sector is Chemicals. Historically this has been a weak month for GBP against the USD, and also for silver. August is the busiest month for FTSE 100 and FTSE 250 interim results announcements: 40 FTSE 100 companies and 87 FTSE 250 companies announce their interims this month. Significant dates this month are: the MPC interest rate announcement on the 4th, US Nonfarm payroll report on the 5th, the MSCI quarterly index review announcement on the 11th, and the LSE is closed on the 31st (Summer bank Holiday). The result of the quarterly FTSE index reviews (including changes for the FTSE 100 and 250 indices) will be announced on the 31st (this announcement of the 3rd quarterly review always used to be made in September, but since the timing was changed recently this can sometimes now take place in August,­ as is the case this year. The major known global event this August will be the Olympic Games. The Olympics generally have little impact on shares worldwide, but where some influence can be seen is in the shares of the host country ­ this year being Brazil. Analysis of stock markets in the year of the games shows that equities in host country markets appear to be weak in the months leading up to the games, perhaps when the media runs stories of cost overruns and missed timetables (interestingly, this has not been the case in Brazil so far this). And then there appears to be a relief rally afterwards. Further articles on the market in August. 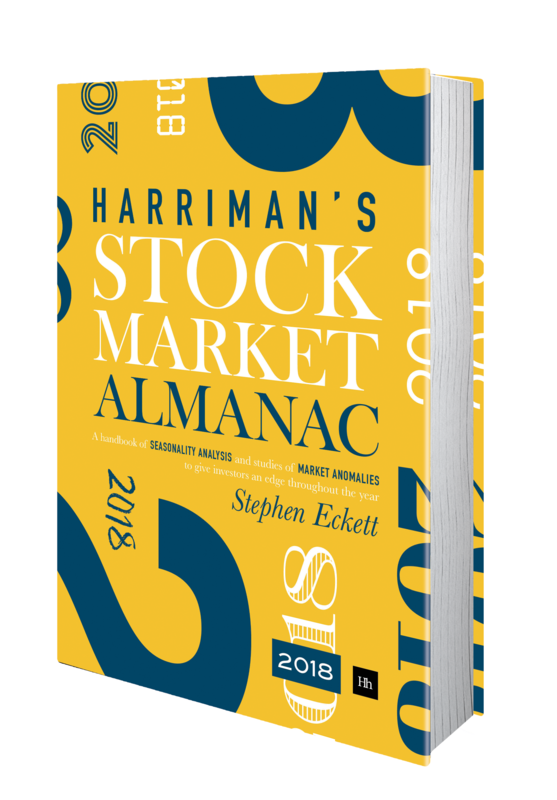 This entry was posted in August, Market, News and tagged month review by Almanacist. Bookmark the permalink.